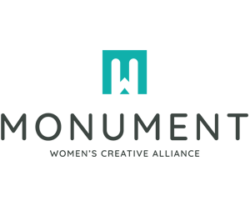 INTRODUCING MONUMENT WOMEN’S CREATIVE ALLIANCE. Our mission is to support women creatives by cultivating a community that enables connection, inspiration and education. We hope you’ll be part of our story. We empower women in creative professions to exchange ideas and inspiration within our private online forum. We also host learning workshops and social events, and offer local volunteer opportunities that impact our community. BE A PART OF THE CONVERSATION. JOIN OUR FREE COMMUNITY TODAY!